As I’ve noted in the past, the income limits on Roth IRA conversions are going away in 2010. This is great news, especially for those that make too much money to contribute to a Roth IRA. Consider the following… Even if you make too much money to contribute to a Roth IRA, you’ll soon be able to make a non-deductible contribution to a Traditional IRA and immediately convert it into a Roth IRA. In other words, the removal of the income limit for conversions effectively removes the income limits for contributions. Bummer. This is actually a significant problem for me, as I have a relatively large SEP-IRA that is chock full of tax-deferred dollars. Thus, if I were to stash $5k in non-deductible contributions in a Traditional IRA with the intention of converting it to a Roth, the majority of the conversion would wind up being taxable. The good news is that there’s a workaround, though it’s moderately inconvenient. Because this “pooling” of tax-deferred funds applies only to IRAs, I can actually set up a Solo 401(k) and roll my SEP-IRA funds into it. I’ll then be free to set up a dedicated Traditional IRA to receive non-deductible contributions that will get converted straight into the Roth with no nasty tax implications. I actually mentioned this possibility back in October of 2007, and then promptly forgot about it. A few weeks back, I was reminded of it when I ran across a post talking about this strategy over on TheFinanceBuff. Time is now running short, but I should still be able to pull it off before the end of the year. Probably the biggest downside for me is that I’ll have to leave Vanguard (at least temporarily) to make this happen. The reason for this is that Vanguard doesn’t accept IRA-to-401(k) rollovers. Thus, I’ll likely wind up moving the money to Fidelity. That being said, Vanguard does, however, accept 401(k)-to-401(k) rollovers, so I could ultimately move the money back in. Is this a deal breaker? Not really, though I’ve grown quite fond of Vanguard over the years. You have to start filing a Form 5500-EZ with the IRS every year once your 401(k) account reaches $250k in value. With a SEP-IRA, there is no such reporting requirement. With an IRA, you can withdraw money at any time for any reason. Sure, you might have to pay a penalty, but you can do it. With a 401(k), you have to meet specific hardship guidelines before you can touch the money. Like I said, not major issues, but still something to consider. In the end, I’m leaning toward doing it, though I’m still not 100% sure. Thoughts? I followed your advice to convert my Rollover IRA into a Solo 401K. Now I have an IRA (100% funded with non-deductible contributions, but there are sizable capital gains) and a Roth IRA; upon conversion from the non-deductible IRA to the Roth IRA, do I pay regular income tax on the IRA’s cap gains? If yes and if I only do a partial transfer from the IRA to the Roth (up to the basis, ex the capital gains), would I still pay income tax on pro-rata’d cap gains (or is it completely tax-free up to the basis)? The Wisconsin issue has been fixed. So, the question I have is whether essentially anyone can open a solo-401k and then roll in larger IRA’s, so they can make non-deductible IRA contributions and then convert? Is there any requirement that you contribute to your solo-401k? Do you have to be self-employed? The above is an article that references this issue in Wisconsin. This is a case of state legislation being slow to catch up to federal law. Just as many states have yet to adopt the energy tax credits for which the feds have allocated substantial funds, this looks to be similar. In past years, states were slow to react to changes in estate tax laws as well, but all eventually do. With this issue, I wouldn’t hesitate to do a conversion as it can always be recharacterized with a single form and not much headache by major IRA providers. Also, a 5.3 percent penalty for the state may still be worth paying for some taxpayers – particularly those with very high income who are the targets of the current administration’s hopes of raising greater tax revenue. Keep in mind, that we need only go back to the 1980s to see top marginal tax rates at 50 percent rather than the current 35. One last note, it may not be such a terrible idea to do multiple conversions over the course of the year. I’m not aware of anything that would prevent a Roth conversion as long as it meets the federal laws. The states can regulate the way in which they tax distributions which would include the ways in which conversions to the Roth are taxed. However, they do not have the authority to supercede federal law. If you have an article that references this, I would be very interested to see it. 1. You cannot have a joint retirement account. The IRS prescribes that all retirement accounts are individual whether they be through an employer or not. 2. You’ll need to check with your Solo 401k providers to see if they offer a discount of some sort depending on the value of monies rolled into the plan. This is up to the new plan provider. If there’s no benefit, you’re likely going to be better off rolling this money into a Rollover IRA elsewhere to escape any hidden fees in the old 401k plans. 3. Your husband should roll his money over to a Rollover IRA that does not carry a fee and offers a wide investment selection. 4. 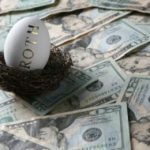 Before going into the 401k, I would max out Roth IRA contributions. Even then, I would probably favor a SEP IRA in your situation since your business is just turning the corner. There are fewer fees for setup and termination for a SEP compared to a Solo 401k and until you have a business that you are very, very confident in, I wouldn’t worry about the Solo. Besides, you can contribute plenty into the SEP at 25% of your self-employed income…assuming you are a sole proprietor anyway. If you add other employees, the SEP turns into a nightmare. Hi, I just found your site, very informative! My husband and I have old 401(k)s at former employers, worth around $35k each (100% vested). Mine is 50%-50% Traditional-Roth, his is 100% Traditional. My husband has a new employer and a new 401(k). He makes around $40k a year and we have 2 kids (ages 5 and 7); we’re in a lower Fed tax bracket: 15%. He is age 40 so room for salary gains (ie a higher tax bracket) before he retires…at least 28% I’m guessing, probably more. I don’t know if it matters, but we live in Wisconsin (community property), with pretty high state income tax rates (we’re at 6.5% which is the highest bracket already). I also have a small Roth IRA worth $4k. And an emergency fund for about 4 mos…. I am 46 and he is 40. He wants to retire early. We have no debt except a mortgage (but will need a new car soon). We have two 529 plans for both kids’ college (about $8K and we continue to invest $50/month into them). I would like to rollover both old 401(k)s for more control over our money, to keep track easier, etc. The question is, into what? And with who? I own a small business (sole proprietor, no employees) that is just starting to make money. I want to start contributing to a new retirement account from this self-employment income. 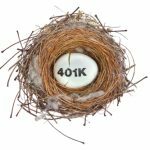 I just found out about the option of a Solo 401(k)–and that it can be Traditional or ROTH, or both! b. a one-person 401(k) plan? We currently bank/invest “fun money” with ING ShareBuilder. I see Fidelity offers SEP IRA and 401(k) plans with no setup fees. Not sure of yearly fees. ING offers “The Plan4One”, a 401(k) set up online for $75 and a $15 monthly fee. And someplace called Investsafe.com offers a Solo-401(k) that costs about $100 a year to administer. a. Should we rollover our $70k in old 401(k)s to a single joint retirement account? Or 2 separate new accounts. And what kind, IRA? What are the factors to consider – the expense ratios/fees of the old and possible new funds? Should we consider converting it all into a Roth IRA? Would it be possible to convert some of it without paying a huge tax hit? $15K is already a Roth, remaining $55K is not. b. Would I have to keep our old 401(k)s separate from my new Solo-401k? Or could we rollover both old 401ks into a new Solo-401k? Or is that not even possible. Let’s say I have $400K in a traditional IRA, $100K of which is basis (post-tax contributions). I want to do a partial Roth Conversion. Obviously (I think) the no brainer move is moving $300K (all pre-tax traditional) into the Fidelity solo 401-K as you describe. Now I can convert $100K and not pay a dime of taxes! Wow! But what if I want to convert a total of $200K? Can I still bring $200K of “purely pre-tax” dollars into the solo 401-K? Or will I get snagged into the pooling monster? Second choice would be to bring the $300K pre-tax over to Fidelity 401-K and execute the conversion on the full $100K in post-tax basis. And then wait… How long would I have to wait until it is safe to blow up my 401-K plan move the dollars back to a traditional IRA? And then finally I could convert the remaining $100K. The central point here is that converting ALL of your post-tax basis in 2010 seems like the top priority. I am asking if I can have my cake (convert ALL of my basis in 2010) and eat it too (convert SOME of my pre-tax dollars), either now (my first choice) or later (my second choice). Right. I get that. So, sticking to the example, I decide to convert 4K, and it’s 96% taxable, and 4% not taxable, so I pay taxes on it as if it were a conversion of 3.84K. Then I am left with … what? A Roth IRA of 4K and my original rollover of 96K, I assume. But say I put another 4K into a new IRA for 2010. And then I want to convert that. Is this the exact same situation? If so, then I roll it over and pay taxes on 3.84K again, and now have 96K of a rollover and 8K of a Roth. But then if I had waited and converted 8K at once, that 8K would have only have been 92.31% taxable? 7.375K of taxable money then, instead of 7.68K. Or does paying taxes on a conversion somehow change the effect of the rollover in future conversions or its tax status? And if I have money sitting in a 401K, and I want to roll it over, soon, this means that I shouldn’t until I do all conversions I ever want to do, right? I’m just lost as to what the choices and consequences are. scon: In the example, assume that you want to convert that $4k in non-deductible contributions. You’re not allowed to pick and choose which IRA dollars get converted. Rather, you have to average across all IRA dollars that you have. So in the example, 4% of the IRA money is post-tax and 96% is pre-tax. If you convert, then 4% of the conversion is not taxable and 96% of it is. In your case, you would have to mathematically pool your IRA with non-deductible contributions in with the two rollover IRAs to figure what percentage of your conversion would be taxable. I’m adrift trying to figure this one out – I can’t find any place that adequately discusses the conversion. 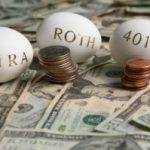 I have a Roth IRA with a bit of money from before I income-leveled out, a regular IRA which I funded with non-deductible contributions, two rollover IRAs that dwarf the other IRAs and (and I know this isn’t part of it, but just to be clear on how confused this all is) a current 401(k) that is partially a regular 401(k) and partially a Roth 401(k). I don’t even get the example – if you have a 96K rollover from a 401(k) that you funded with pre-tax dollars and a 4K regular IRA, then 96% of what is taxable? And in the end what is the status of the rollover and of the regular IRA? Any pointers to anyone who is explaining this in detail? Heeeeeelp. Great point. Unfortunately, most people don’t realize that you can NOT have multiple Traditional IRA’s or multiple Roth IRA’s. While you CAN have multiple accounts with different financial institutions for your Traditional and/or Roth IRA(s), in the eyes of the IRS, you can only have one Roth and one Traditional IRA. Thus, the uniform tax treatment for conversions. I just bought a house on a 15-year mortgage. I will have it paid off by the time I am 42 years old. I am thinking of using Lending Club as a major vehicle for my “Temporary Retirement” funding since it’s not the kind of money that I can’t do without if things go wrong. You said that the earnings on a Roth account were taxable upon withdrawal? I was under the impression that if you put after-tax dollars into a Roth IRA that the contributions as well as the earnings were tax-free. I have dealt with Vanguard since 2007 and been extremely happy with their service. I can not say the same about Fidelity, they cost me several thousand dollars due to their inability to respond rapidly to my requests. I will never do business with Fidelity again unless they were my only option. My first post with you, but I try and read your info daily; always good information for savers. @John – With the plan you have in mind, you have between 11 and 23 years to execute your plan. The best way to do this is (1) contribute to your employer’s plan up to the match maximum and (2) max out contributions to a Roth IRA. This accomplishes two things – setting up savings for the long haul retirement and making funds available to you during your two year hiatus from the employment ranks. Assuming you contribute an average of $5,000 annually, you would have between $55,000 and $115,000 in contributions in the Roth IRA that you can take out whenever you feel like it and owe zero taxes and zero penalties. With the Roth, you only pay taxes for gains and you only pay penalties for withdrawals of gains prior to 59 1/2 (unless you’re doing SEPP/72t distributions…different topic for another day). If you do this in 11 years, you would have $55,000 in future value dollars which is equal to around $37,000 today (adjusting for 3.5% inflation). If you waited 23 years, you would have $115,000 in future value or $52,000 in present value. Obviously you could save up some money in the meantime outside of a Roth, but on the Roth alone, you could feasibly execute your plan – especially if you moved to a lower cost of living area for your two years (I hear Belize is nice this time of year). At any rate, with your time horizon, you can certainly pull it off and the Roth is a great way to do it. If things change in 11 to 23 years, you could simply keep the money in the Roth and perhaps retire for good a little earlier. One more idea, if you can set yourself up to where you purchase a home that you can payoff by the time you hit your 2-year hiatus date, you could simply save up a couple of years worth of mortgage payments that would provide you with a similar pot of money. Right now i have about $6500 in a tax-deferred company 401(k) and nothing in any kind of Roth investment. I have an idea to temporarily retire for a couple years when I’m in my late 40s or early 50s(currently 29). I’m thinking that If I have a couple years with little or no income I can use that time to convert some money into Roth for little or no tax cost. I’m not counting on this happening but it sure would be nice. I plan to contribute to some Roth investments in the traditional way also. I realize the rules are likely to change in the next 20 years. @Chris – calculators like these are nice to use, but they leave out some of the bigger picture questions that are important when considering retirement income planning. While it’s hard to predict taxes, it is pretty easy to say that they’ll be higher than today. It is also logical to assume that taxes will increase more for high income earners than for low and middle income earners. Using this logic, if you’re planning on a retirement income above ‘middle income’ (north of $65k for married couples and $37.5k for singles), using a Roth as part of a tax hedge will make sense. If you’re planning a middle to lower income during retirement, converting makes a little less sense. One note on the default values on the calculator linked above, the 39.6% rate (actually it tops out at 35%) only applies to extremely high income earners and those with that kind of income are unlikely to have the 15% retirement tax rate (if they actually save and invest). Also, the calculator does not take into account the basis in the IRA. Most people contributing to Traditional IRAs have a significant basis as it’s hard to qualify for the deduction. For example, if you didn’t deduct your contributions to a Traditional IRA, and made $10,000 in contributions total, if the IRA was valued at $10,000 today, there would be no tax on the conversion. Basis is extremely important to this analysis. A friend of mine was considering whether or not to convert his 10k IRA into a Roth IRA. The only way he saves money is if his retirement tax bracket is higher than his current bracket…and by guessing how much that difference would actually be in 30yrs. My answer to him was that his best option was to calculate how much it would cost him to convert the IRA to Roth…and to invest that money immediately instead of paying taxes on the conversion. Nice post and Kaye Thomas does a fine job over there at Fairmark (everyone should own a couple of books from them). Just a quick note of caution to avoid going with a Solo 401k that is inside of an annuity. These plans are often riddled with fees, the most painful of which is the surrender charge. When Solo 401k plans hit the market, annuity companies were quick to jump on the wagon. As a result of their aggressive marketing efforts, they control a good chunk of the market (exact stats aren’t at my fingertips). Also, most Solo 401k providers have a tough time making a lot of money, so the number of Solo vs. Traditional 401k plan providers isn’t even close. 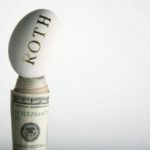 Although it may not help with your conversion problem you might want to consider setting up a solo Roth 401k as your current retirement plan. This would allow future contributions to a Roth vehicle with a much higher annual maximum contribution and virtually no income limitations on your contributions to a Roth vehicle. You’ll still have the tax-deferred option available in the 401(k) so you can manage just how much you want to go into each bucket (tax-deferred and Roth). Any match or profit-sharing you provide yourself is required to go into the tax-deferred bucket. Maybe that’s what you were planning to do anyway, but worth mentioning as planning future contributions to a Roth 401(k) might lessen your need to convert. Go for it (presuming that a Roth conversion makes sense in the first place).